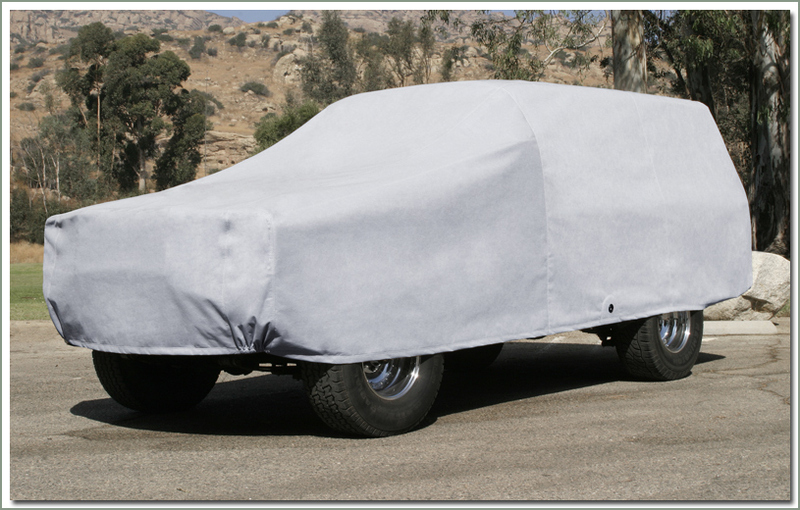 Having a hard time choosing a car cover? 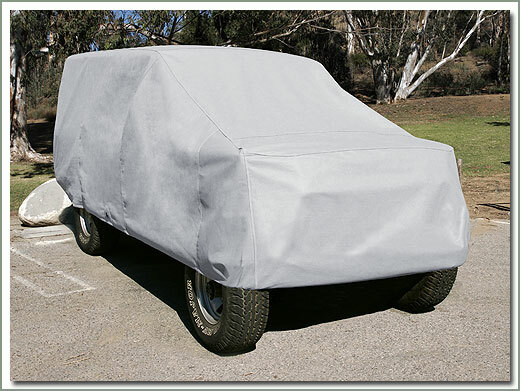 We know you have lots of options; material, fit, quality of construction and of course cost are major considerations when choosing a car cover. You have a Land Cruiser because of its dependability. Because of that dependability, you'll keep it for years. 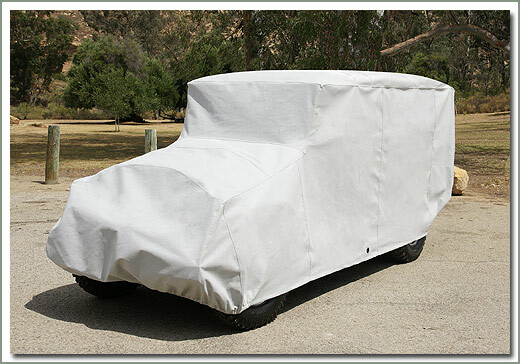 SOR car covers are the highest quality in the industry. 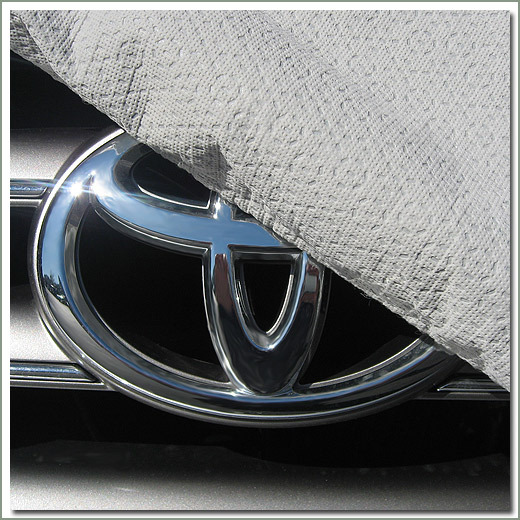 We use only the best quality car cover fabric available. And it takes a lot of fabric to cover your Land Cruiser. 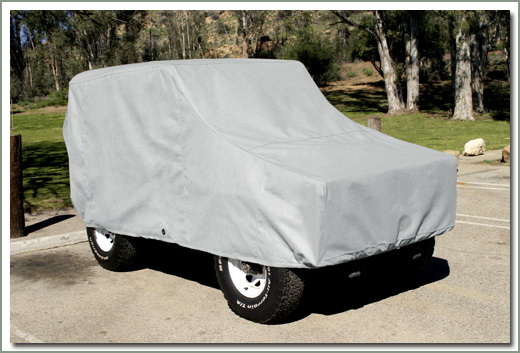 You need a cover you can depend on to protect your Cruiser. The fabric we use is proven tough against environmental factors yet its soft lining won't harm your finish. It's moisture resistant and not affected by industrial pollutants, tree sap or bird droppings. It's breathable, does not absorb moisture, and dries quickly. Fitting is important. 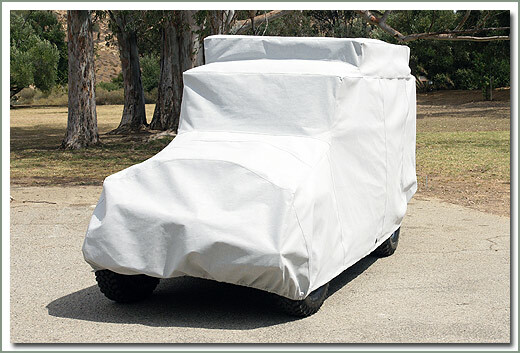 SOR Car Covers are not generic loose fitting bags designed to fit any SUV, RV, boat or trailer. 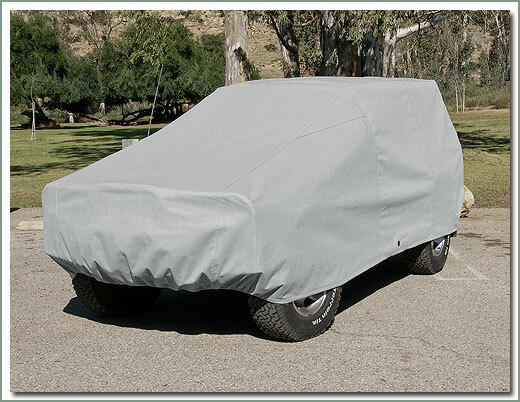 All SOR Car Covers are custom designed and tailored to fit your Land Cruiser. 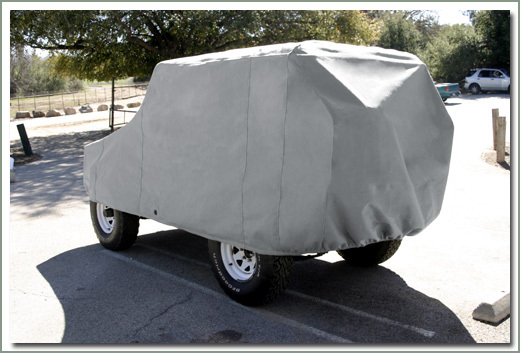 SOR car covers are made on site by Specter Off-Road, not imported. We control the quality of the product, first hand. 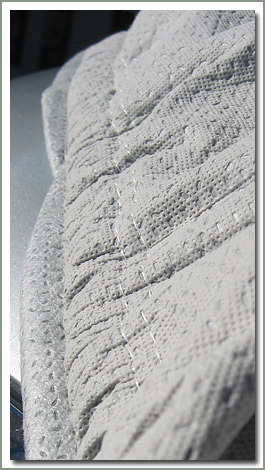 Each stitch is sewn with over twenty years of experience by our skilled upholstery professionals. We may be old fashion, but quality, craftsmanship and attention to every detail really does matter. 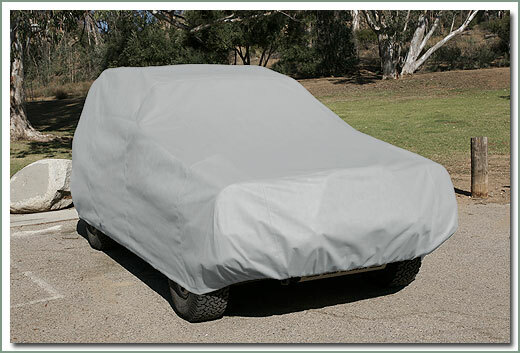 Our car covers have double top stitched, overlapped seams for strength and durability and are machine washable. 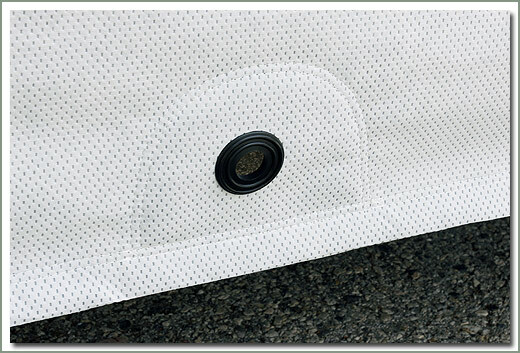 They feature front and rear Neoprene elastic hems for a snug fit and reinforced, non-scratch grommets for a cable lock. Storage bags are sold separately, see #275-46. Visit the Sewn Goods page at SOR.COM for more information. 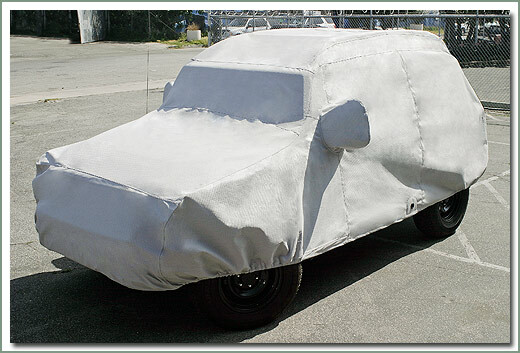 You're right, SOR Car Covers are not the cheapest priced cover available, and now you know why. If you're looking for a dust cover for a season, buy a bag. 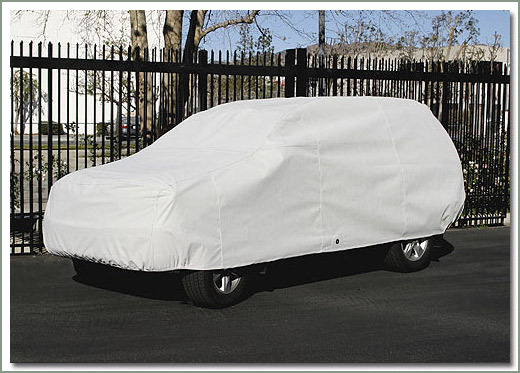 If you're looking for a car cover to protect your investment for years to come, buy an SOR Car Cover. You do get what you pay for. Naturally Moisture Resistant - Snow, rain, dew and related dirt are kept away from the vehicle finish. Acid rain, industrial pollutants, tree sap and bird droppings will not harm the fabric. The fabric is naturally moisture resistant and does not have to rely on treatments which are usually short-lived. 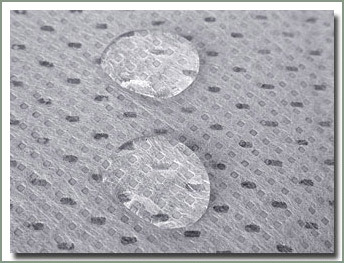 Dries Quickly - Moisture is not absorbed by the fabric filters. Breathable - Patented 4-layer fabric construction does an outstanding job of resisting moisture while allowing air to circulate through the fabric. Dust/Pollution Barrier - The two middle layers of E4 fabric act as a filtration barrier against most airborne pollutants as small as 0.1 microns (smaller than fine talc). 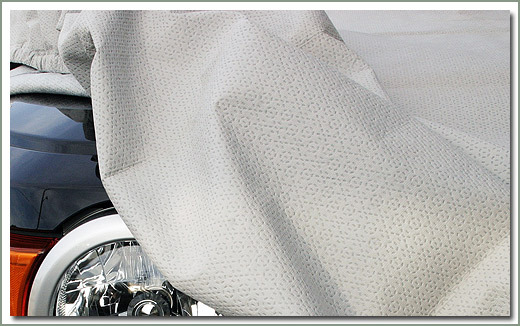 Impact Absorption - The fabric's 4-layer thickness absorbs impacts better than any other vehicle cover fabric to help protect the finish from nicks, dings, dents and scratches. The soft inner layer will not scratch, mar or dull paint or delicate clearcoat finishes. 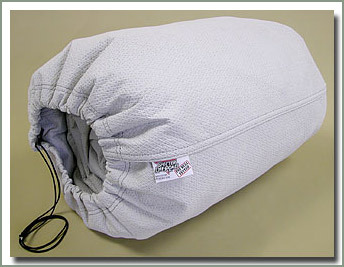 Easy to Use - Since the fabric is breathable it doesn't trap and "parachute" during installation and removal. It also won't shrink or stretch and retains its tailored shape. PLEASE NOTE - Evolution fabric will shed water, but in extended rain, moisture will pass through the cover. Because of its breathable nature this cover is not water proof. This cover is not designed for extended exposure to wind. Fits 45 and 47 Series Troopy models - Custom contoured fit for your Land Cruiser Troop Carrier. Made with Delux GRAY Evolution 4 Material. GRAY Evolution 4 Material-Fits 1968-7/80 55 Series - Custom contoured fit. GRAY Evolution 4 Material-Fits 8/80-8/87 60 Series- Custom contoured fit, fits with stock OEM factory bumper, fits with ARB Winch style Bull Bar, and Smittybuilt type tube style bumper. GRAY Evolution 4 Material-Fits 8/87-1/90 Series-Custom coutour fit. Fits with stock OEM factory bumper, fits with ARB Winch style Bull Bar, and Smittybuilt style tube bumper. GRAY Evolution 4 Material - Fits 1/98-2007 100 Series - Custom coutour fit. 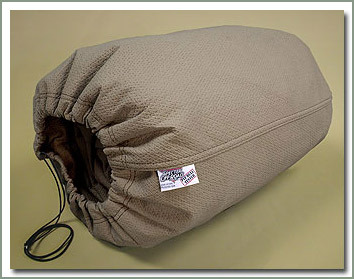 SOR Car Cover Stuff Bag makes for a convenient way to store your car cover when not in use. Available in Gray (EG) or Tan (ET) Evolution 4 material material.